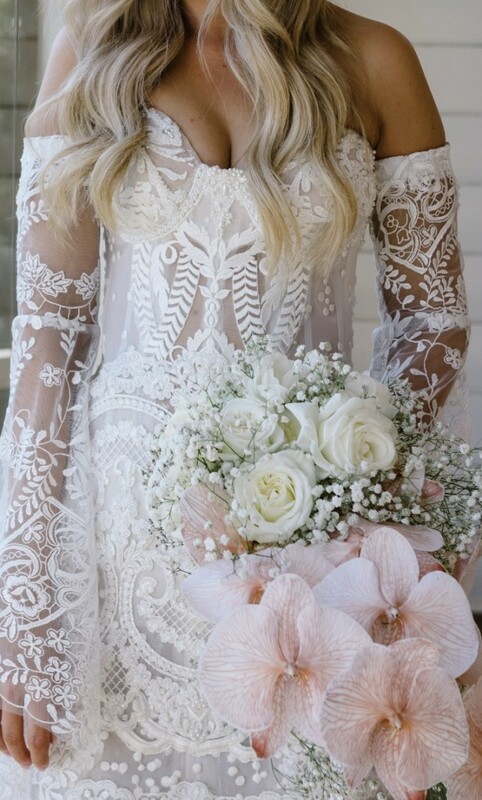 Unique design, stunning lace with optional sleeves, sheer bodice with visible boning. Beaded and sheer bottom. Long French tulle train with detail, buttons up if desired.